Native spitz breeds of Japan. Akita Inu and Shiba inu are well known, but these are the 4 medium breeds, named for their region of origin. 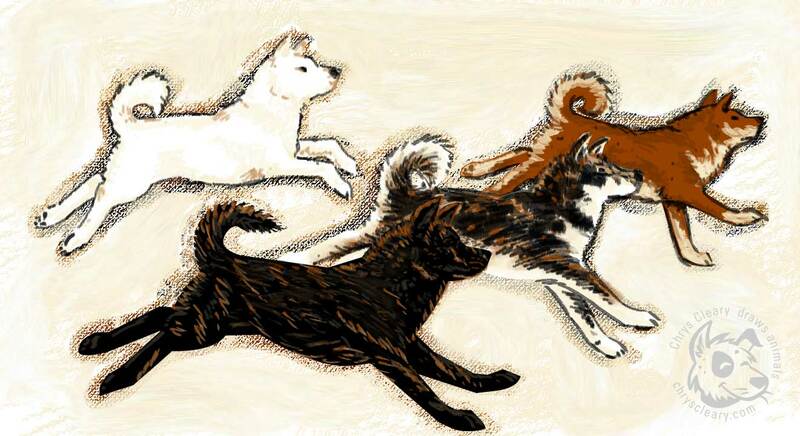 The Kishu in white, and the black brindle Kai, the sesame Shikoku and a red Hokkaido Ken.